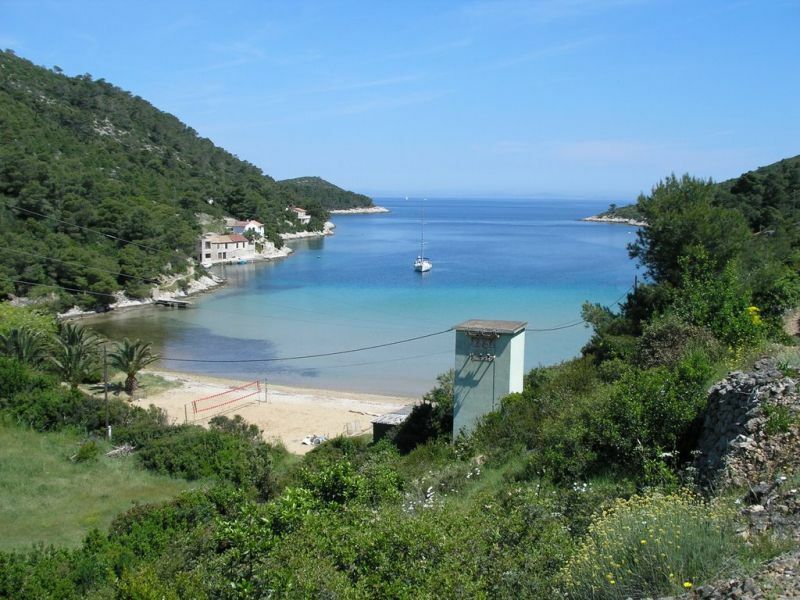 Vis is an island with beautiful beaches and no crowds. There is also a nudist beach on this island. 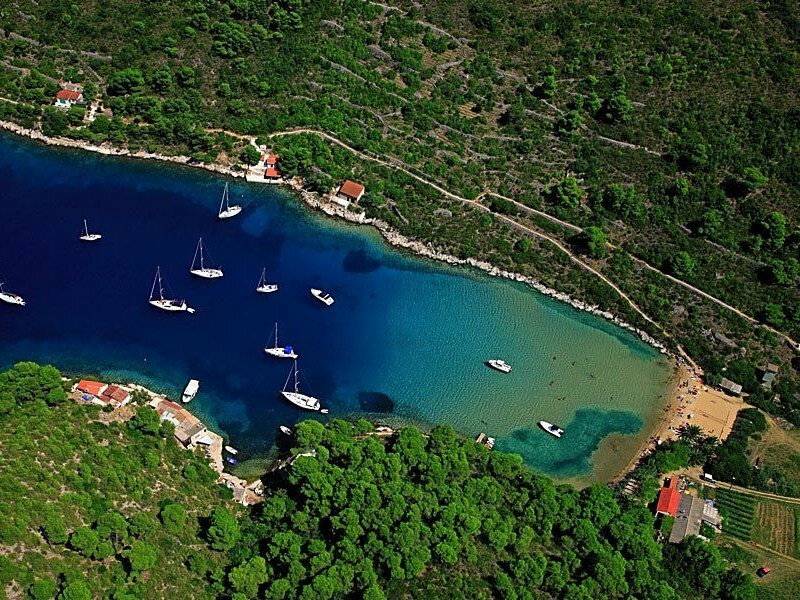 Stoncica Bay is hiden beach on the east side of the island of Vis, east of the port of Vis. 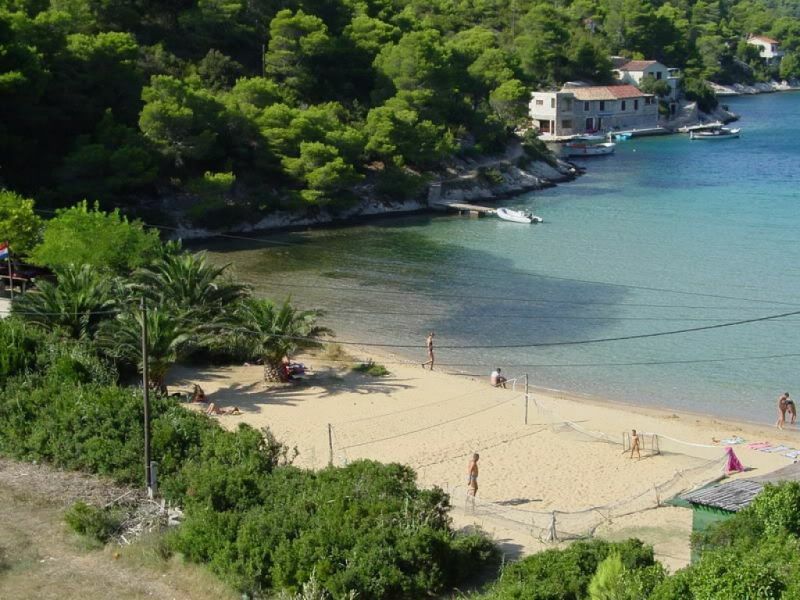 It is famous after beautiful beach surrounded by amazing Mediterranean vegetation and crystal clear sea. 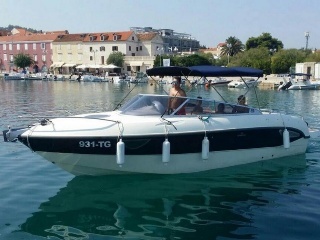 Stoncica Bay is a charming, friendly and discrete bay, in one word relaxing summer destination. The underwater area has very slight decrease in the distance, even 30 meters from the shore of sea level is quite low and is in the water perhaps up to the waist. These conditions are ideal for children and non-swimmers who may have trouble with the great depths. In the bay there are some examples of tamarisk along the sea, while the coast is framed with tall reeds. On the beach there is a restaurant in the beautiful environment, offers an excellent gourmet cuisine and a wide selection of beverages and wine quality. In this area there is also a playground for beach volley, which will delight all those fans of more active holiday. Near the beach there is a space that can serve as a parking lot.